Chevrolet Uplander kit allows you to quickly and easily repair your shift cable by replacing the bushing. The patent pending coupling and custom molded replacement bushing ensure a quality repair with ease. A professional can perform this repair in under 10 minutes, average time for a non-professional is less than 25 minutes. This bushing is made from a material that was designed to outlast the factory bushing and includes everything needed to install. 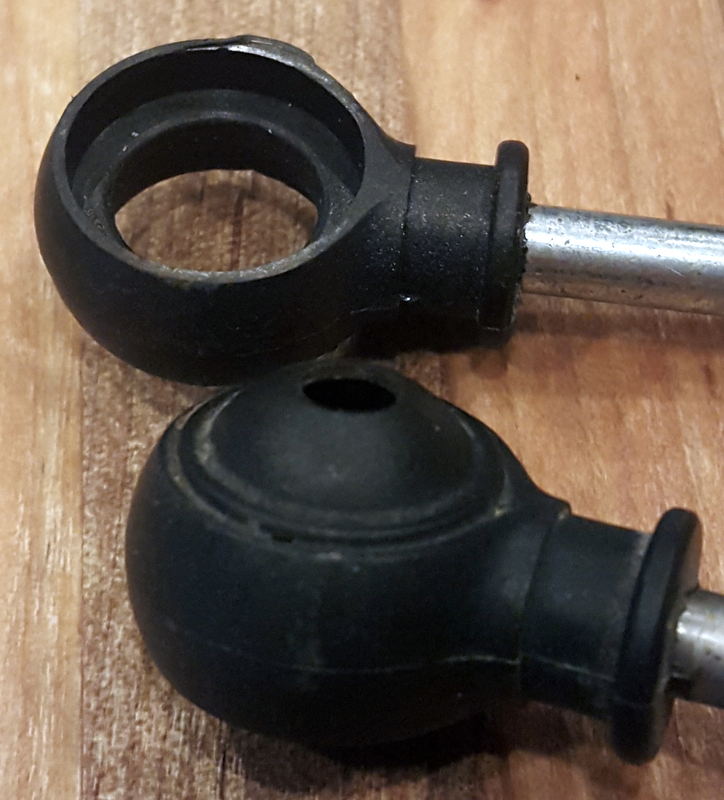 Order Online at www.BushingFix.com This shift lever bushing repair kit allows you to fix your Chevrolet Uplander shifter lever by replacing the bushing very easily. It takes about 5 minutes and comes with a warranty, it's made from better material than the factory bushing so it'll last longer. No drilling required. Check out our website to order and for additional written instructions. The easiest way to fix your Chevrolet Uplander shift lever! Kit includes replacement bushing. My shift cable bushing cracked and I was figuring $150 to get it fixed but I looked online and found exactly what I needed for $20. The You Tube video was simple to follow and I fixed the issue myself in 10 minutes! Shipping was also quick! Thank you for saving me a huge headache! Thanks to their excellent video on YouTube, it was an easy fix, even for this 82-year-old amatuer with a bad back. And a big money saver, too! Now, please pass the Salonpas! 15 minutes tops fantastic product thank you. I was going to replace the shift cable in my 2006 chevy unplander and when I checked to see what the jobe would entail I found it was going to be a real pain to do. I ran across your add & viewed the video on youtube, looked simple enough ! So I ordered the kit and an hour after I recieved it the cable was repaired, just as easy as the video showed. I am definitely a satisfied customer !! i went to three local parts dealers , none could help me. i found bushingfix on line. order included instructions on installation. Product was received faster than expected and worked like a "CHAMP". My mechanic friend was also just as elated and he now has your info for future use. Part was correct and the you tube video was dead on even down to the correct socket size. took about a minute works great. now i can put my van in park!!!! Worked out very well it was well worth the money.